Licenses | Hammond & Associates, Inc.
What is a Professional Engineer? To a client, it means you’ve got the credentials to earn their trust. To an employer, it signals your ability to take on a higher level of responsibility. Among your colleagues, it demands respect. To yourself, it’s a symbol pride and measure of your own hard-won achievement. What is a Certified Mechanical Contractor? Requirements to Obtaining a Certified Mechanical Contractor License. A Mechanical Contractors license is required in Florida for any job that involves the trade. Anyone seeking to become a mechanical contractor in Florida is required to sit for two exams, business and finance and the trade. Applicants must document four years of experience. Applicants are also required to provide a credit report and financial statement that is no more than 12 months old. A net worth of $2,500 – $20,000 (depending on classification) is required. The minimum general liability insurance that is required for licensure is $100,000 for bodily injury and $25,000 for property damage. A “mechanical contractor” means a contractor whose services are unlimited in the execution of contracts requiring the experience, knowledge, and skill to install, maintain, repair, fabricate, alter, extend, or design central air-conditioning, refrigeration, heating, and ventilating systems, including duct work in connection with a complete system. Each contractor is required to take 14 hours of continuing education during each 2 years prior to the renewal period. 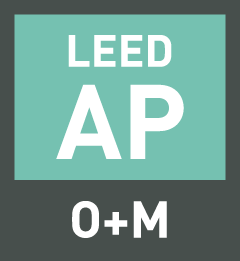 What is LEED (Green) Certification? 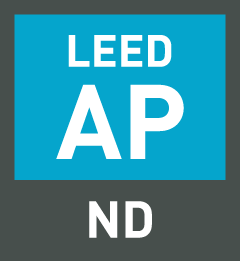 LEED certification is recognized across the globe as the premier mark of achievement in green building. 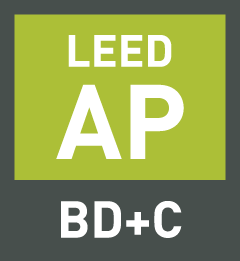 The LEED AP credential is proof of advanced knowledge in green building as well as expertise in a particular LEED rating system. What is a Construction Document Technologists (CDT)? What is a Construction Documents Technologist? CDT’s are an elite group of professionals known in the industry for their comprehensive knowledge of the writing and management of construction documents. What is a Certified Plumbing Contractor? Florida plumbing license requirements are set by the localities (the towns or counties). In Florida, both the contractor and the individual plumber must be licensed. The contractor is licensed by the state. The plumber is licensed by the locality. The plumber must be licensed even if working for a plumbing contractor who holds a state plumbing contractor’s license. For an overview of how U.S. Plumbing License Requirements work, refer back to the Plumbing License Requirements homepage. 1. Contractor License: In Florida, a Contractor is someone who demolishes, subtracts from, builds or improves any building or structure for compensation. Examples of compensation are cash, goods, services, etc. Essentially, if you pay someone to construct a building or a structure, make structural alterations to load bearing walls, or perform services such as plumbing or air conditioning work, that person has to have a state contractors’ license. There are two types of contractor licenses available in Florida, a certified license and a registered license. Both are issued by the state. Certified licenses allow you to work as a contractor anywhere in Florida. Registered licenses are limited to certain local jurisdictions and only allow you to work in the cities or counties where you hold a certificate of competency. 2. Plumber License: In Florida, the Journeyman Plumber and the Master Plumber must also be licensed. This is a different license than that obtained by the contractor. A Florida plumbing license is issued by the locality in which the plumber wants to work. If you are going to perform plumbing work for pay in Florida, two licenses are involved: 1) the license held by the contractor, and 2) the license held by the plumber. The contractor is the one with the legal right to perform work for hire. The plumber is the one who is actually performing the plumbing work. The contractor must get one of the two types of contractor licenses, either the certified license or the registered license. These licenses are issued by the state. The plumber is either an employee of the contractor or may be the contractor themself. A Journeyman or Master plumber must get a plumbing license from the locality in which they are working. Apprentices do not need a license. Plumbers with a valid Journeyman or Masters license may work in other jurisdictions in Florida if they request and pay for a Letter of Reciprocity from the jurisdiction that issued the license initially. What is a Certified Underground Utilities Contractor? An Underground utility and excavation contractor means a contractor whose services are limited to the construction, installation, and repair, on public or private property, whether accomplished through open excavations or through other means, including, but not limited to, directional drilling, auger boring, jacking and boring, trenchless technologies, wet and dry taps, grouting, and slip lining, of main sanitary sewer collection systems, main water distribution systems, storm sewer collection systems, and the continuation of utility lines from the main systems to a point of termination up to and including the meter location for the individual occupancy, sewer collection systems at property line on residential or single-occupancy commercial properties, or on multi occupancy properties at manhole or wye lateral extended to an invert elevation as engineered to accommodate future building sewers, water distribution systems, or storm sewer collection systems at storm sewer structures. 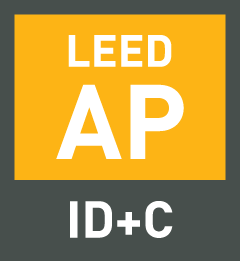 However, an underground utility and excavation contractor may install empty underground conduits in rights-of-way, easements, platted rights-of-way in new site development, and sleeves for parking lot crossings no smaller than 2 inches in diameter if each conduit system installed is designed by a licensed professional engineer or an authorized employee of a municipality, county, or public utility and the installation of such conduit does not include installation of any conductor wiring or connection to an energized electrical system. An underground utility and excavation contractor may not install piping that is an integral part of a fire protection system as defined in s. 633.021 beginning at the point where the piping is used exclusively for such system. 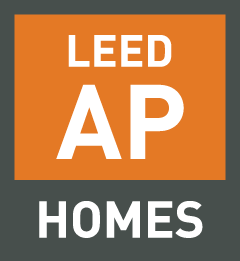 Ready to see why we are right for your next project? No matter the project size we have the experience.